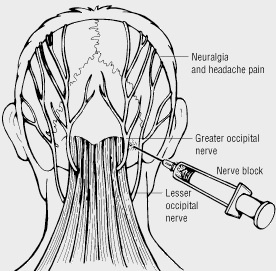 Occipital nerve blocks are injections of anesthesia and steroids used to treat chronic pain caused by certain types of headaches. It is done at the back of the head where the occipital nerves give sensation. 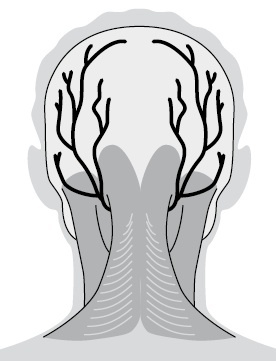 The occipital nerves are sensory nerves and they are located on the left and right sides where the neck meets the scalp. What Are the Major Indicators for Having Occipital Nerve Blocks? Occipital nerve blocks are administered to patients suffering chronic headaches such as migraines and cluster headaches. It is also used to treat chronic pain that radiates through the scalp or on one side of the head. What Do Occipital Nerve Blocks Entail? During your visit for treatment, you may be seated or lie face down as the injections are administered to the back of the head. A local anesthesia is given for pain, though you still may experience some tingling or minor pain during the procedure. A very fine needle is used for the steroid injection which is administered to the back of the head, just above the neck on either one or both sides of the head. The procedure takes just a few minutes, and image guidance is not necessary. How Do Occipital Nerve Blocks Help the Doctor Provide Treatment? The occipital nerve block enables the Seattle pain management doctor to treat chronic headaches, occipital neuralgia and scalp pain. It is a quick procedure that allows the patient to reduce pain without overuse of pain medications or the use of other invasive procedures. 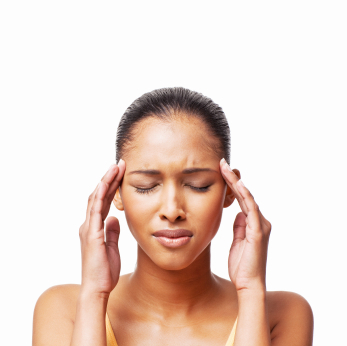 Patients often receive reduced severity and frequency of headaches. What Are the Risks of Having Occipital Nerve Blocks? Most people have some pain at the injection site due to the injection itself and the procedure is a safe one, but there are some uncommon side effects that can occur such as bleeding, worsening of symptoms, or infection. It is a very low risk procedure. What Are the Benefits of Having Occipital Nerve Blocks? Occipital blocks are usually incredible for relieving pain and headache symptoms. For cervicogenic headaches, studies have shown over 90% of patients obtain relief for over six months. This may entail several injections performed every 1-2 months. For cluster headaches, another study showed 85% of patients became pain free for a few months. This is also incredible. For migraines, studies have shown the same results, with over 80% obtaining satisfactory results, which may include reducing both the severity and frequency of migraines. The occipital blocks may be performed along with Botox injections for migraines as well. These are FDA approved. An additional option for headaches is to perform a radiofrequency ablation of the occipital nerve. This procedure deadens the occipital nerves with the hopes of providing longer-lasting pain and headache relief. Seattle Pain Relief offers comprehensive treatment options including the occipital block procedure for all types of headaches. The Board Certified Seattle pain management doctors help patients obtain relief, with most insurance being accepted.